Iconic clothing brand Cue is a rare beast. The largest local manufacturer of fashion in Australia, the brand was born in the late 60’s and has since thrived through two recessions and an onslaught of global fashion retailers. The brand’s secret to success – an agile, collaborative, and design-driven approach – is reflected in their Surry Hills headquarters. A modern fashion house, the retail space features multiple showrooms and design studios seamlessly integrated into the 3,000sqm, two-floor tenancy. The attention to detail is evident throughout – most prominently through the bespoke high-end joinery and Euro Marble. Maintaining the marble accents was key to preserving its beauty and integrity. The accents, balanced with a variety of local influences in design and materiality – from textured walls, polished concrete floors, and exposed ceilings – brings a contemporary, raw aesthetic to the workplace. Cue’s desire for vertical interconnectivity was particularly important to this project. 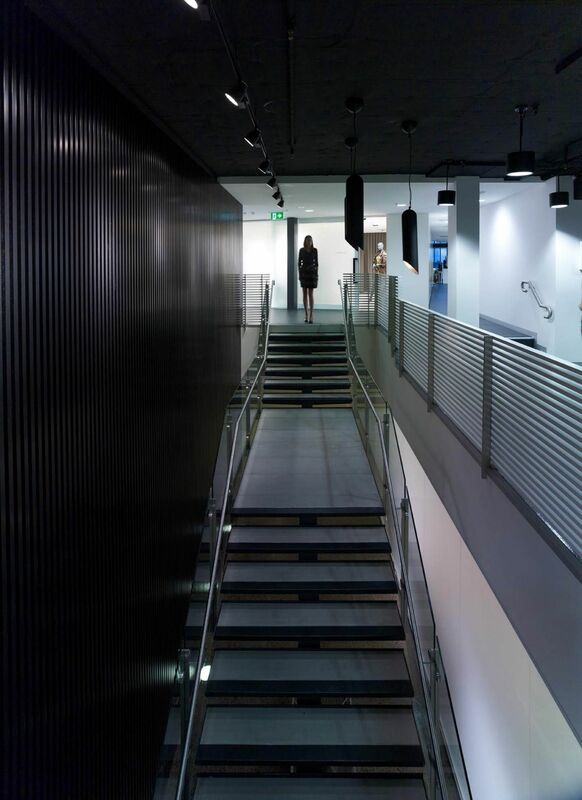 Our experience in managing building intricacies resulted in a high-quality, beautifully crafted inter-tenancy staircase to enhance connectivity between departments. With all their designs originating from the Surry Hills office, Cue was seeking to instil a sense of local vernacular. Our NSW construction team collaborated with Geyer and Surry Hills artist Jonathan Jones to produce and integrate a statement lighting piece into the building construction. The feature reception lighting installation was created from industrially manufactured fluorescent tubes and mirrored walls. Inspired by the clean lines of the Cue aesthetic, the crisp design serves as a visually striking statement while enhancing the overall ambience. This motif extends through the workspace. 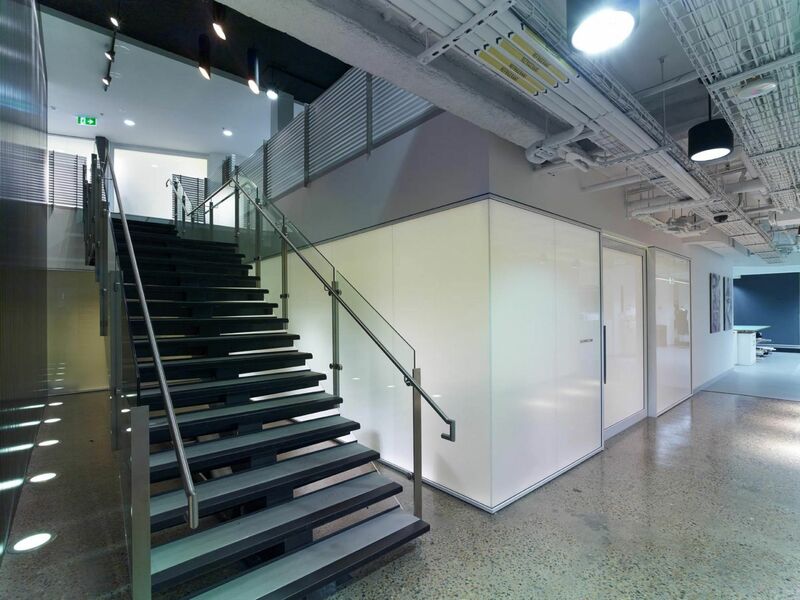 Bespoke glazing marries with intelligent lighting to form translucent glowing cubes – stylishly housing the showrooms. Considered lighting was critical in supporting the brand’s unique needs; from on-site manufacturing to administrative functions. The careful balance sees that neither comfort nor functionality is compromised. Given the level of detail required, this project was not without its challenges. Procuring glass that met both form and functionality needs proved most challenging. Our team met the design needs with double-glazing; ensuring the final space achieved the almost-white finish while maintaining an opaque effect. Our proactive approach and close collaboration with Geyer and Cue resulted in a project focussed on value management, constructability, and feasibility advice. The close relationship ensured all works were completed to the highest quality, on time, and under budget. 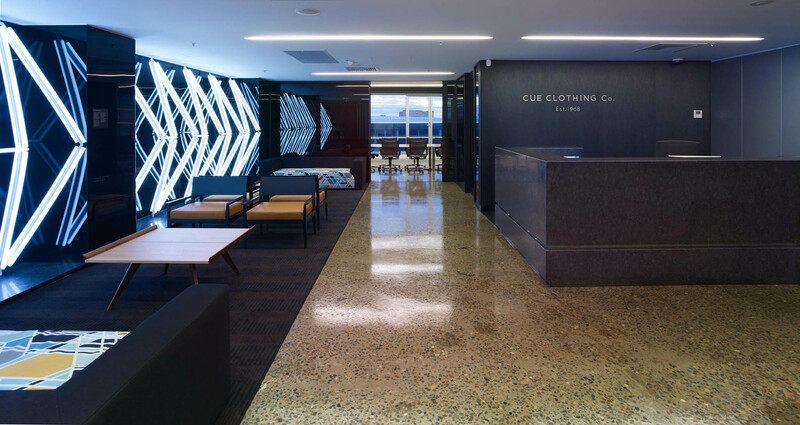 Key elements define the final space through honest materials and quality finishes – enhancing the Cue brand. 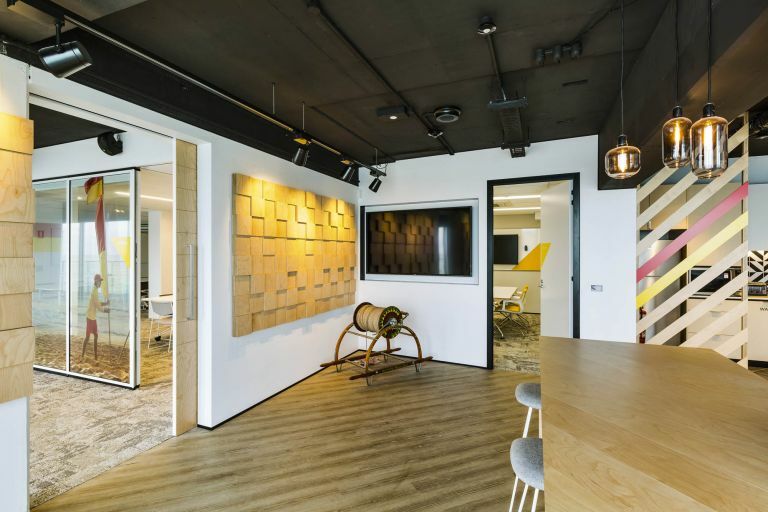 A testament to the fine attention to detail and overall quality outcome, Cue’s Surry Hills headquarters was shortlisted by the International FX award for the best commercial workplace. 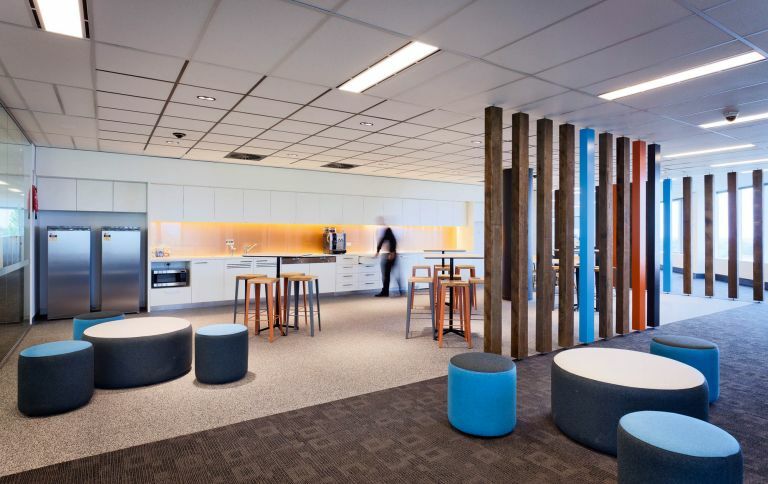 Schiavello delivered the fitout of the ODCM designed office and function venue. A coastal-inspired environment, it reflects the character of SLSA. An office based on the commitment to environmental sustainability; including breakout areas, meeting rooms and open plan offices.